"Unbound: Narrative Art of the Plains"
“Unbound: Narrative Art of the Plains,” opening Saturday, March 12, at the Smithsonian’s National Museum of the American Indian, George Gustav Heye Center in New York, celebrates the vibrant storytelling of society, war and peacetime, repression and expression found within the historic narrative artworks of Native peoples of the Great Plains. 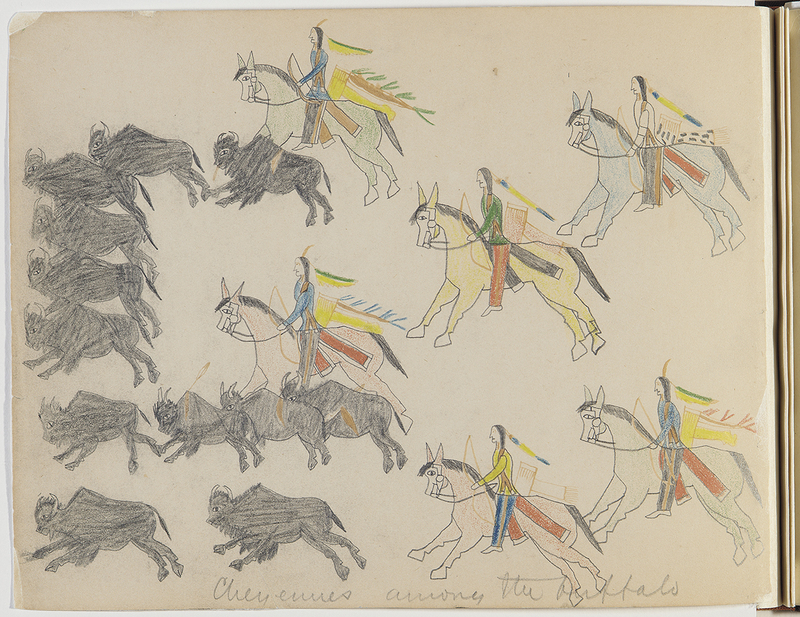 Video: "Unbound: Narrative Art of the Plains"
Bear's Heart (Nock-ko-ist/James Bear's Heart/Nah-koh-hist), Southern Tsitsistas/Suhtai (Cheyenne), 1851–1882), Cheyennes Among the Buffalo, ca. 1875. Paper, graphite, crayon. Drawing titled in pencil by Lt. Richard Henry Pratt, later the founder of the Carlisle Indian School. Terrance Guardipee (Blackfeet), Mountain Chief, 2012, depicting Blackfeet leader Mountain Chief. 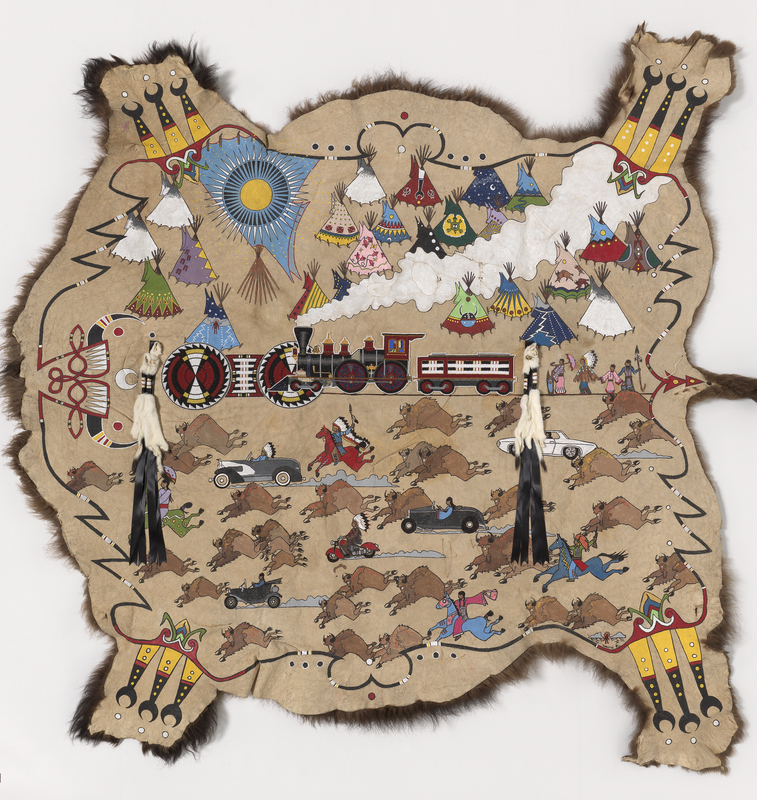 On view in “Unbound: Narrative Art of the Plains,” opening March 12, 2016, at the Smithsonian’s National Museum of the American Indian in New York. 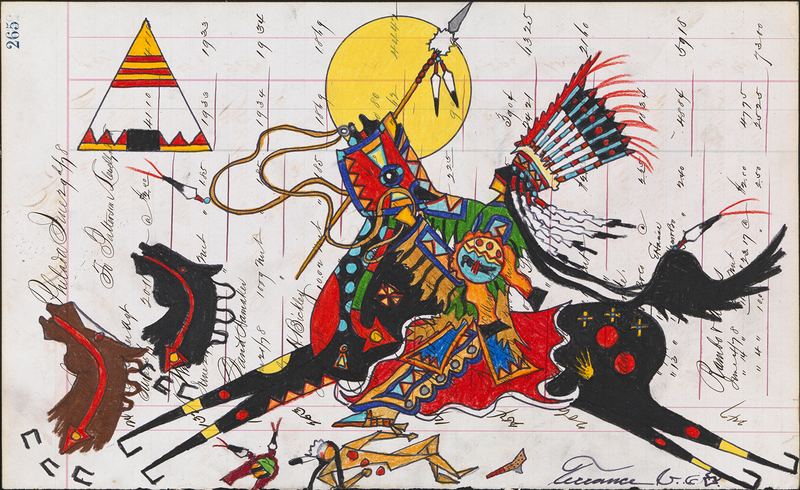 Dallin Maybee (Arapaho), Conductors of Our Own Destiny, 2013. 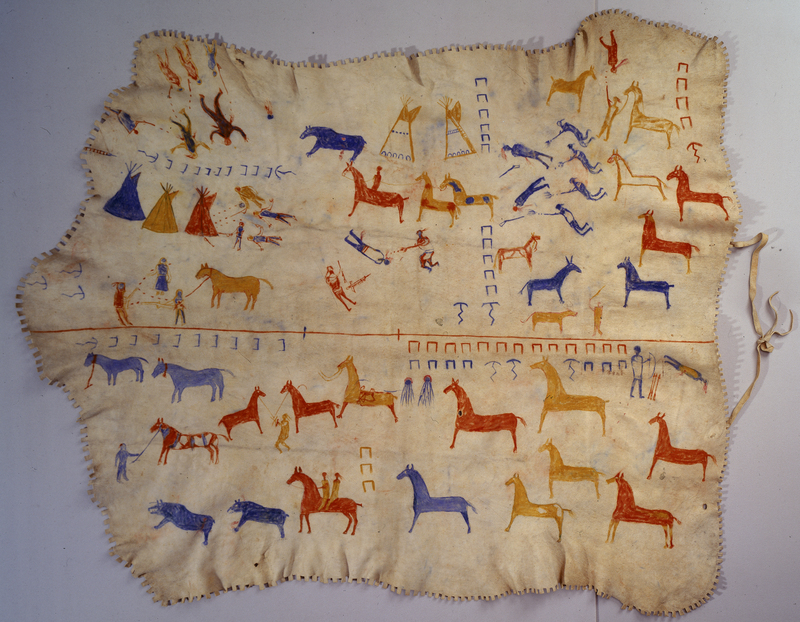 On view in “Unbound: Narrative Art of the Plains,” opening March 12, 2016, at the Smithsonian’s National Museum of the American Indian in New York. Blackfeet elk skin robe with painted decoration depicting war honors of Mountain Chief, ca. 1920. Attributed to James White Calf (Blackfee, ca. 1858-1970). Elkhide, paint.